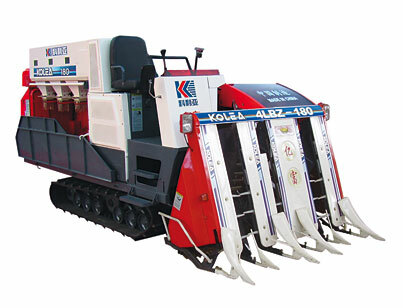 Half feed combine harvester products is on the basis of the introduction of foreign advanced technology, through independent innovation developed to adapt to the southern soil big viscosity, dusty feet deep, field is not big, bad conditions, such as the wet field through performance is good, can harvest the lodging within 85 degrees serious lodging a new generation of rice combine harvester products, can be a complete selection, harvesting, transportation, threshing grain collection and stalks processing think much homework. 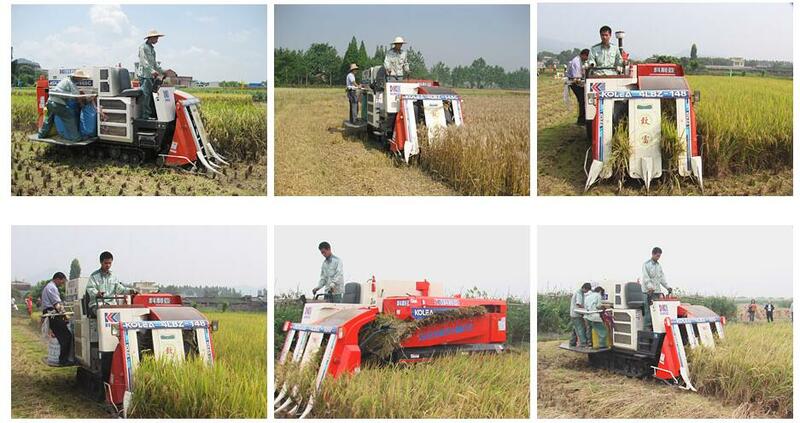 Especially adapted to the south of double season rice production conditions and straw recycle or straw counters-field agronomic requirements, I can also ShouMai crops, can be a nationwide inter-district homework, greatly improve the applicability of the products, prolong the life time of the products, maximize income of users. Article at the same time, this model is cut off, and set pile in three kinds of straw, the straw to recycle, reduce the effects of straw burning environment and traffic, to adapt to today's society to the requirements of environmental protection.